Veteran paranormal researchers Dr. Margaret Matheson (Sigourney Weaver) and Tom Buckley (Cillian Murphy) debunk fraudulent claims of ghost whispering, faith healing and other psychic phenomena by detecting what Matheson calls “red lights,” the subtle tricks behind every staged supernatural occurrence. But when the legendary blind psychic Simon Silver (Robert De Niro) comes out of retirement after 30 years, his once-fearless adversary Matheson warns Buckley to back off, fearing reprisal from the powerful Silver. 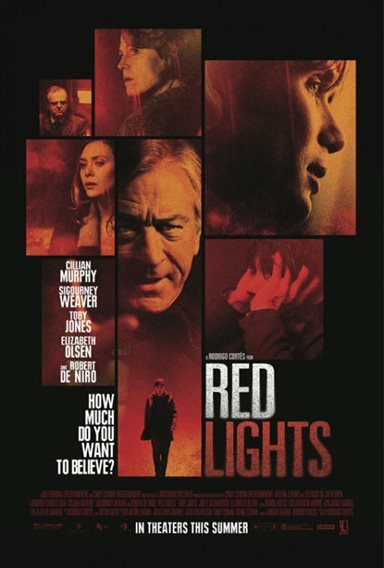 Red Lights images are © Millennium Entertainment. All Rights Reserved.